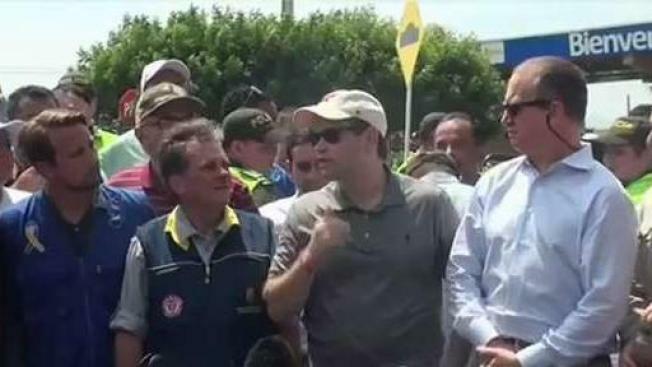 Several Florida politicians, including Sen. Marco Rubio, visited the Colombia-Venezuela border on Sunday. U.S. Sen. Marco Rubio on Sunday visited a border staging point for U.S. aid to Venezuela and warned soldiers loyal to socialist President Nicolas Maduro that would commit a "crime against humanity" if they block entry of the packages that are being channeled through Maduro's rivals. An enthusiastic throng of Venezuelan migrants, some chanting "Rubio! Liberty!" met the Florida Republican as he visited Cucuta and held a news conference in sight of a border bridge that has been flooded in recent months by Venezuelans people fleeing hardship in their own country. The U.S. has used military and civilian aircraft to fly in food and personal care aid — an effort that is meant to undermine Maduro and dramatize his government's inability to overcome shortages of food and medicine. The aid is supposed to be distributed in Venezuela on Feb. 23 by supporters of congressional leader Juan Guaido, who is recognized by the U.S. and dozens of other countries as Venezuela's legitimate president. Maduro is using troops to block aid from entering, saying it's unnecessary and part of a coup to overthrow him. Rubio warned those soldiers that blocking aid would be an international "crime against humanity." He said in Spanish that soldiers who block aid from entering would spend "the rest of their lives hiding from justice." But those who renounce Maduro have been promised amnesty by Guaido and the opposition-dominated congress. Few soldiers have accepted that promise. Rubio, who has been an influential voice in advocating U.S measures against Maduro, noted that about 50 nations have declared Guaido the constitutional president of Venezuela, based on arguments that Maduro's re-election last year was fraudulent, and that other government-stacked institutions such as the supreme court have no legal authority. While Russia, China, Turkey and a large number of Asian and African countries still back Maduro, Rubio dismissed them, saying in English, "The countries that support Maduro do not surprise us. All of them are corrupt and none of them is a democracy and many of them are owed billions of dollars that they want to get paid by the corrupt regime." Rubio said the issue was "a humanitarian crisis, of human beings who have nothing to do with politics." 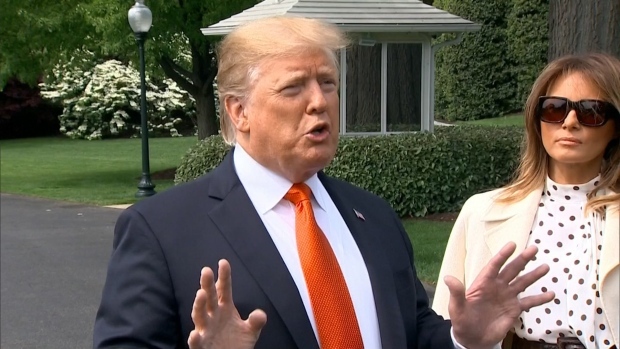 He said Venezuelans "are being denied medicine, food and aid needed to live while those people who are at the head of that regime are living like multi-millionaires."